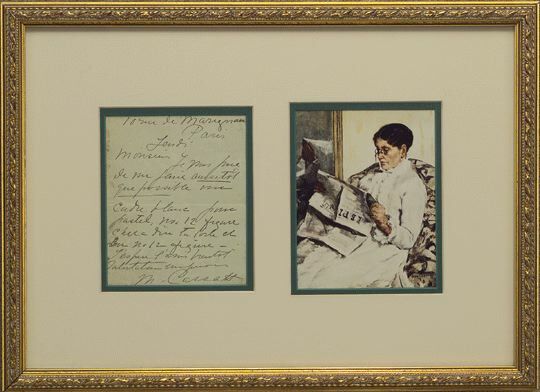 Autograph Letter Signed, M. Cassatt, one page, octavo, Paris, undated but circa 1904. To M. Anzoli, in French. 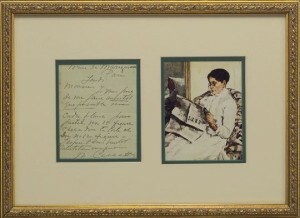 Framed in beige, green and carved gilt, with a color image of a self-portrait in oils. Framed measurements: 16 inches wide by 11 3/4 inches high.